One advantage of starting the party planning early, is being able to watch the sales come and go at stores like Target, Michael's, and JoAnn's. Between the dollar spot, coupons, and the new BOGO sales at Michael's, I should be able to do all of this on budget! I decided to make the dress part of Ginny's outfit, but use a white onesie or shirt underneath it. For the shoes, I've searched high and low for "ruby slippers" and have found that most places start at "toddler" sizes, around size 5. She's a 3.5 at the moment, so I'm giving up. I found glittery red fabric and plan to make these little Mary Janes instead. With the banner done and the other decorations coming together, I'm on track! The big projects are going to be the cake (still yet to be decided) and the dress (which shouldn't take too long......once I start it). 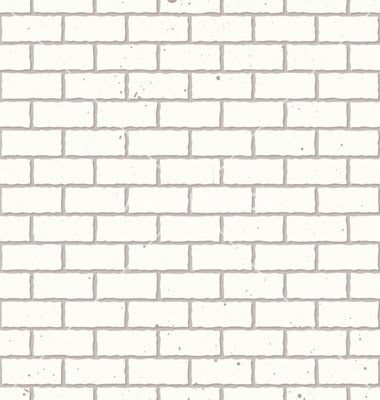 I downloaded a gray scale vector image of brick and tiled it across an 8 1/2 x 11 size image. Then I printed the design on the yellow paper to give it the brick effect. When I printed out the first sheet I freaked out - it was EXACTLY what I wanted it to look like. With the glitter paper and the brick pattern, its spot on Wizard of Oz. The menu is another thing I can easily plan far ahead. We're going to be doing a lot of appetizers and snacks instead of a whole meal. I really like the idea of doing the fruit rainbow as well as some finger foods such as spinach balls, little pinwheel sandwiches, cheese platter, cauliflower buffalo bites, and of course the cake. We're well on our way!